What to Do if You Have an Itchy Scalp? An itchy scalp is impossible to hide. Even if you use every bit of self-control to stop yourself from itching relentlessly while in public, the remnants of your last scratch will stick in your hair for hours, leaving white flakes across your hairline for the entire world to see. As unattractive and awkward as that may be, the discomfort that comes from an itchy scalp is much worse. The problem is that for most causes of an itchy scalp, simply scratching the source of the discomfort isn’t going to alleviate the problem and could actually intensify the issue. The most common cause of an itchy scalp is dandruff. A lot of people assume that this means their scalp is dry, but the issue is a lot more complex than that. Dandruff is an inflammatory response to an overgrowth of yeast along the scalp. Scratching at the yeast is only going to spread it around. While you might gain instant relief, it will only be temporary. Dandruff can sometimes be remedied by an over-the-counter shampoo, such as those containingingredients like selenium sulfide, salicylic acid, tar, or ketoconazole. Some cases are too stubborn for just these shampoos, and in that case, there are prescription strength shampoos and scalp medications available that are much more effective. Another common cause of an itchy scalp is psoriasis, which can actually develop almost anywhere on the body. This is actually a chronic autoimmune disease that causes itchy, scaly patches to develop on the skin. Certain shampoos can help psoriasis as well, but your dermatologist can provide you with more effective cream solution, ranging from topical scalp medications, to laser treatments, and in severe cases, oral and injectable psoriasis treatments. While dandruff and psoriasis can happen to anyone, they aren’t contagious. This isn’t the case for some other causes of itchy scalp, like ringworm or head lice. A lot of people assume that only children will get either of these issues but that is far from true. There are some over-the-counter treatments available for both of these issues, but again, prescription strength solutions will be more effective. Ringwork, which is not actually a “worm,” but rather a fungal infection, as well as head lice, have both become increasingly resistant to over the counter and even prescription treatments, and your dermatologist has access to the most advanced prescription treatments, ensuring that you or your child are healed and cured as quickly as possible. Without proper treatment,they won’t go away and the longer you have the problem the more likely you are to spread it to those around you. 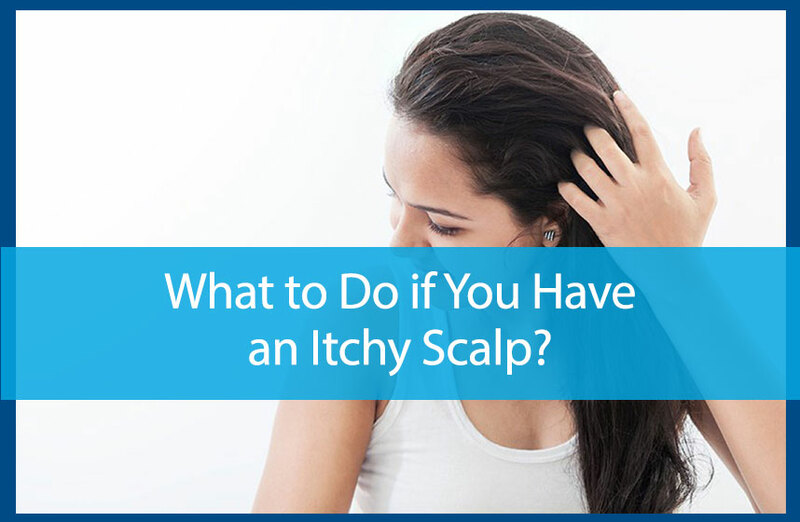 There are a lot of over-the-counter solutions available for itchy scalps, and sometimes they are effective, but if you don’t know what is causing your itchy scalp then it isn’t a good idea to try to treat it on your own. Trying too many products—or using a product that is attempting to treat an issue you don’t have—could actually result in an allergic reaction and may leave you with an itchier scalp than when you started out. The best course of action is to see a dermatologist and find out exactly what is causing your scalp to itch. To learn more or to schedule an appointment, contact us at 770-251-5111.
https://availdermatology.com/wp-content/uploads/2017/10/itchyscalpblog.jpg 560 858 John Lenz /wp-content/uploads/2017/08/logo.png John Lenz2016-11-24 15:45:362017-08-30 19:34:43What to Do if You Have an Itchy Scalp?